By: Lori Kahn | May 2, 2018 North Beach is the perfect place for visitors looking for a low-key, small beach town vibe with lot's to do. If you’re looking to explore local neighborhoods most people may not know about and love to be the first to experience special finds, this is the town for you. There is the Food Truck & Music Fest Sponsored by T-Mobile on select Wednesdays, great concerts and music at the bandshell a slew of great local restaurants and lounges. It's also soon to be home to a huge new development on Ocean Terrace that will usher in a new era of dining and fun for those who decide to drive a little north than the standard South Beach scene. Along with this new resort development project, there are also some big plans in store for nearby North Shore Open Space Park. 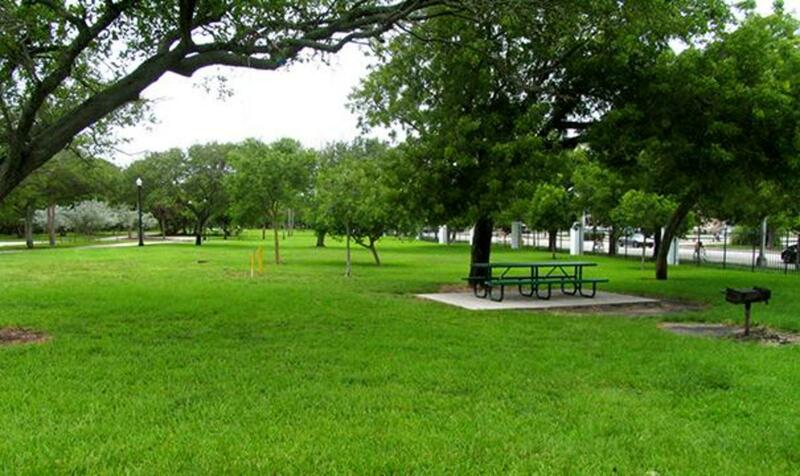 Wide Open Spaces Located in Miami Beach between 78th Street and 87th Street, North Shore Open Space Park is a beautiful gem in the heart of North Beach. This nearly 28-acre park will soon be undergoing a $6 million renovation, to include more walkways and trees, as well as a concession stand for the times you don’t want to leave the park for a cold beverage or snack. 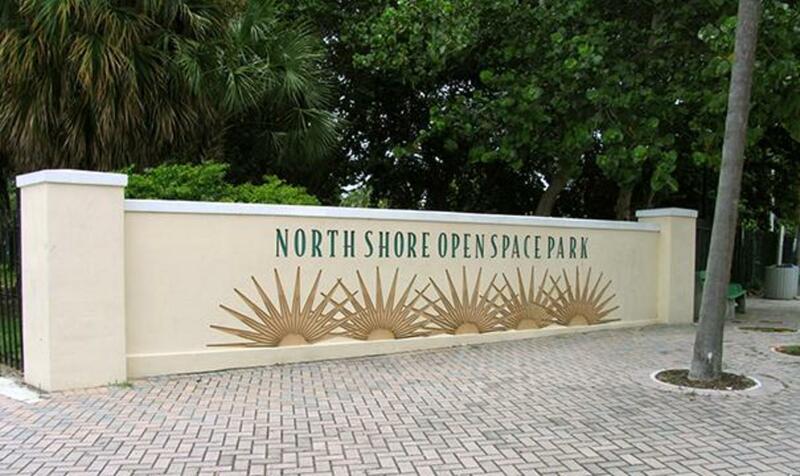 If you want to enjoy this park as it is now before they break ground on the upcoming Ocean Terrace project and give North Shore a facelift, plan a beach day around this natural and calming oasis north of South Beach's bustle and roar. The Beach North Shore Park’s back is bordered by a fence of dunes leading to an open expanse of tranquil beach with lifeguards on duty for safety and plenty of room to spread out and listen to the sounds of the waves as you soak up the sun. You don’t need to battle over beach turf here since this stretch of sandy shoreline is known as a calm little sibling to its raucous big brother to the south. Here you can relax with a walk on the beach in search of Turkey Wings and Jingle Shells – and if you are lucky, the occasional unbroken Olive. If you are looking for a serene area of sand where you can just enjoy the water and the sun in peace, this is definitely the place to go. Park Amenities Want to make it a family reunion? 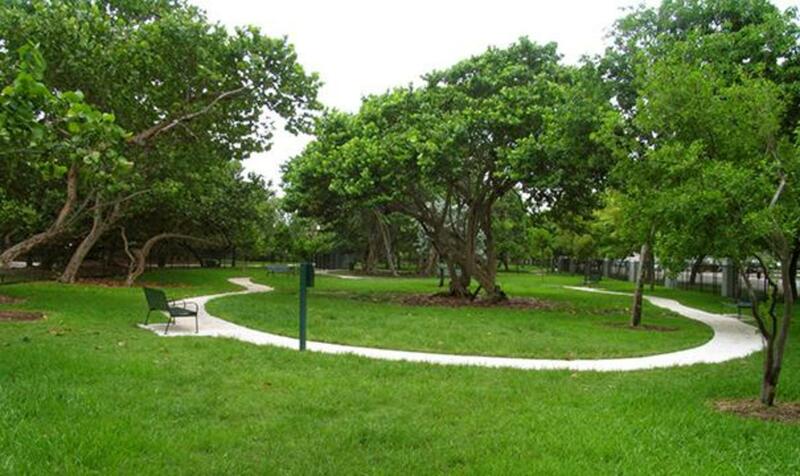 As one of the biggest parks in Miami Beach, North Shore Park has plenty of picnic tables and grills under the shade of old-growth Sea Grape trees as well as three pavilions for picnicking and party rental. All pavilions have a BBQ grill, electricity and a restroom for convenience. There are swings for the kids and a play structure as well to keep the little ones happy. There are also a myriad of water fountains, WOOSH water dispensers allowing you to refill your water bottles with the swipe of a credit card, and benches along the trails. If you rather plan a day going solo, this is the perfect park to wander the winding pathways or spend an afternoon reading a book under the trees. In the mood to sweat? This park has an outdoor fitness challenge course with self-powered workout stations along the pathway so you can enjoy a little bit of a fresh air workout. 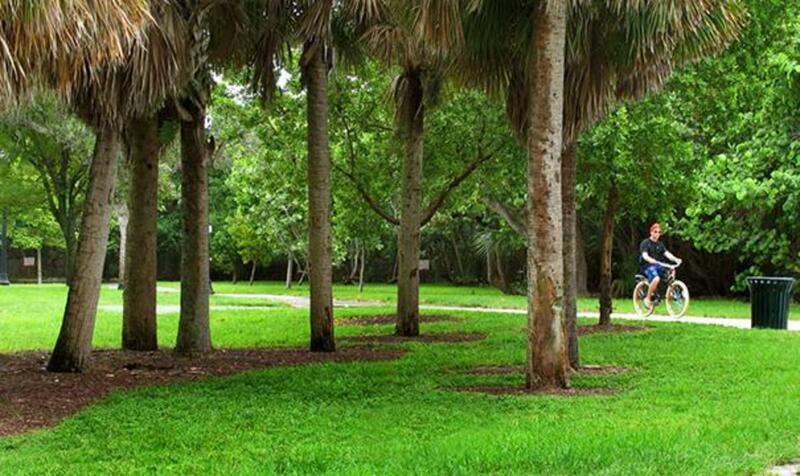 The meandering walk even has a natural shaded tree canopy to protect you from Miami’s balmy heat while you are walking, running or roller-blading. If you want to get a little more exercise in, you might want to rent a Citibike at 79th street and Collins Ave., right outside the park, and take the eight-mile ride down to South Beach to experience its livelier atmosphere. There is a path close to the beach where you can enjoy the shoreline’s scenery if you don’t want to ride on the street. You can also hop on the boardwalk and stroll all the way from mid-beach down. Better yet, you could take a ride a little further north to Haulover Beach or Oleta Park to try out one of their many trails and kayaking. Right now you won't find a concession stand or rentals at North Shore Park, but the upcoming renovations plan on adding them to the list of the park’s features. Luckily, there’s no need to stress since there are lots of shops around the area including a Walgreen's that sells seasonal and beach items if you don't happen to have an umbrella or towel with you. Who Let The Dogs Out Your furry companion can tag along with you on your next run in North Shore Park. Although the dog runs are not on the beach itself, there are two huge areas at the north end of the park - one for the little guys and one for the big dogs. Expect other dogs to be there too, as this is a very popular spot, so be sure to only bring socialized dogs on the run. North Shore is also pet-friendly as long as your four-legged sidekick is on a leash, in case you want to go for a leisurely walk or a nice brisk jog with your furkid. There are even a few great restaurants nearby with pet-friendly outdoor seating, like Burgers and Shakes or El Rancho Grande Cocina Mexicana, so you can make a whole day of it with your best friend. Parking and Access Street parking is inexpensive and plentiful near North Shore Park and you won’t have far to walk once you do. You can pay with the parkmobile app to make it even easier. 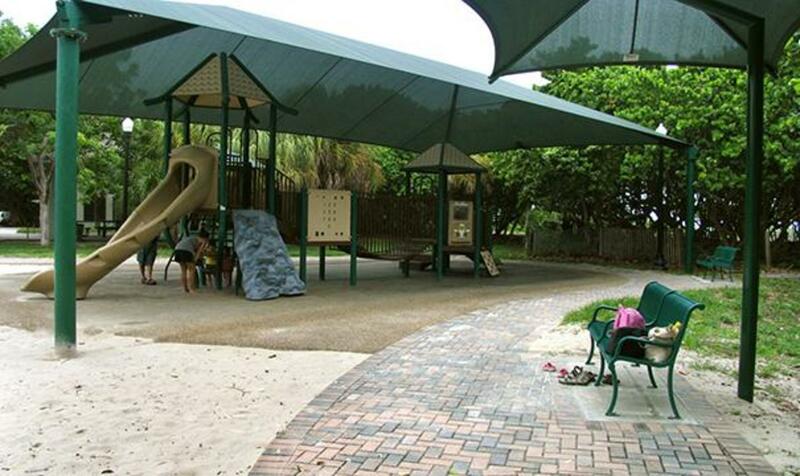 The park is also handicapped accessible, with easy access to the beach and picnic pavilions. 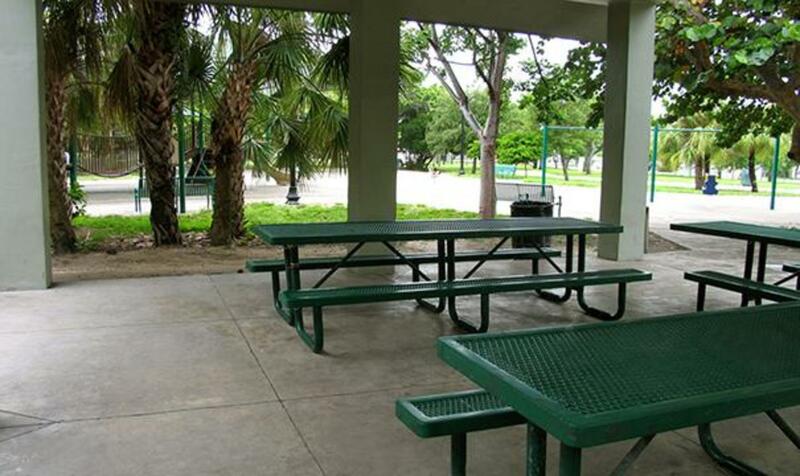 To find out more about renting a pavilion, visit the City of Miami Beach Parks department’s website. Make sure to come early and watch the sunrise over the Atlantic Ocean. The park is open from sunrise to 8 p.m., giving you plenty of hours to enjoy the open spaces. Stay in Touch: Sign up for the Miami Insider enews to receive news, events and special offers. Share the Love: We'd love to see your photos! Share them with us on Facebook, Twitter or Instagram and don’t forget to use the hashtag: #FoundInMiami.